One of the most experienced,dependable online casino software providers, Real Time Gaming have been operating since 1999 with a great range of eye catching slots that are fun to play. With impressive graphics and realistic casino play simulations, they set a high industry standard. Real Time Gaming has been in the casino software business for a very long time, building up a library of over 70 online slot games since launching in 1999. 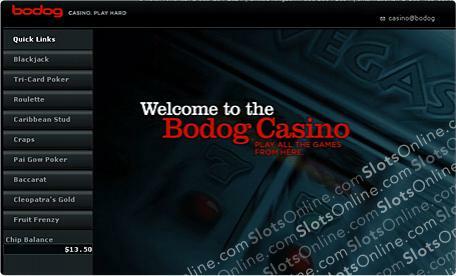 They are based in the Caribbean nation of the Netherlands Antilles, and provide software to some of the best known online casinos on the Internet like Bodog, Cherry Red and Rushmore Casino. Real Time Gaming casinos are always visually appealing, with great graphics, and their slots games are feature rich, making them a favorite with players. One of these features is the AutoPlay function, which allows players to set parameters for their game play and let the software take over. It's just like when you jam a coaster in the spin button when playing a live casino slot machine so you don't have to keep pressing it! Also a hit with slots players at RTG casinos are the big progressive jackpots that can run into the millions of dollars! YES I said millions! At the time of writing, the Aztecs Millions slot jackpot was sitting at over $1,023,400. Many slots players also like to enjoy a game of video poker, and RTG casinos have more options than anywhere else. We counted 19 different video poker games! The RTG software doesn't yet offer slots tournaments, but they do have online blackjack tournaments which are a good way to unwind after a slots session.